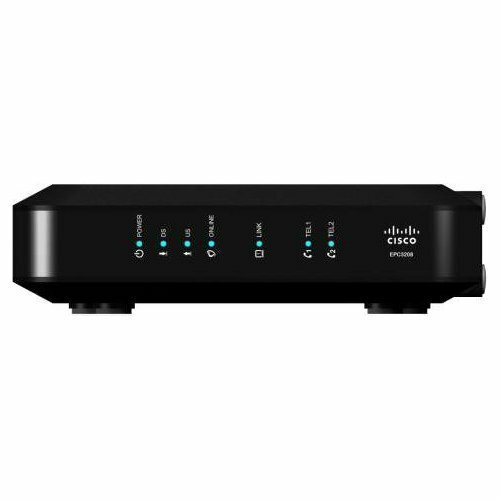 The Cisco DPC3208 DOCSIS3.0 cable modem with embedded digital voice adapter is not compatible with major service providers like the other modem in its series, but has internet speeds up to 340Mbps. With 8x4 bonded channels and phone compatibility, there are two phone support lines. While the modem is a great price for telephone service, you will have to contact your service provider to update the programmed software, or firmware, which can be an inconvenience.